Always evolving their services on the mobile side, Google is bringing one new feature that will provide users a preview of sites brought up by their Google searches. 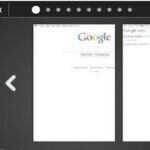 Currently available on PCs, the Google Instant Preview allows you to essentially place your mouse cursor over a Google search link – and from there, it'll show you a preview of the web site associated to that corresponding link. That feature is now making its way to the iPhone and Android smartphones, but it works slightly different since you're going to be navigating via touchscreen. With the mobile version, you can basically tap on the text underneath the links of your Google searches. And from there, you'll be taken to a slide-show like interface, similar to what's used with Google Image searches, where you'll be presented with previews of the pages from your search results. 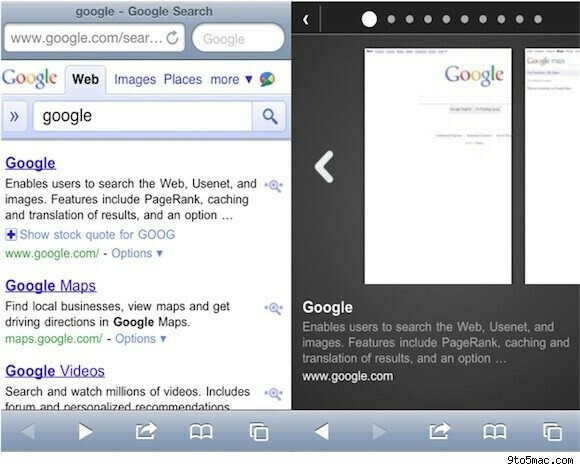 Google Instant Preview on the iPhone.